When asked which wines most complement Thai food, Chef McDang says in his new book The Principles of Thai Cookery, “No wine goes with Thai food. That is because there is no beverage culture in Thailand. We drink to get drunk.” Though he goes on to name a few up-and-coming labels in the nascent Thai wine industry, almost any restaurant in Thailand illustrates his point – most Thai people drink basic liquors and beers when they are out celebrating with friends. At most restaurants and bars, the most common alcohol is Sangsom, a brown sugarcane rum which is often referred to as “Thai Whiskey.” Sangsom is always served the same way – mixed with ice and plain soda water, then quickly drunk. Aside the shared dishes of food, a bottle or two of Sangsom sits in the middle of the table, and diners top up their friends’ drinks as they eat, talk, and laugh. Even though Thailand isn’t full of elaborate cocktails, Thai ingredients mix well to create unique drinks for your New Year’s Eve. 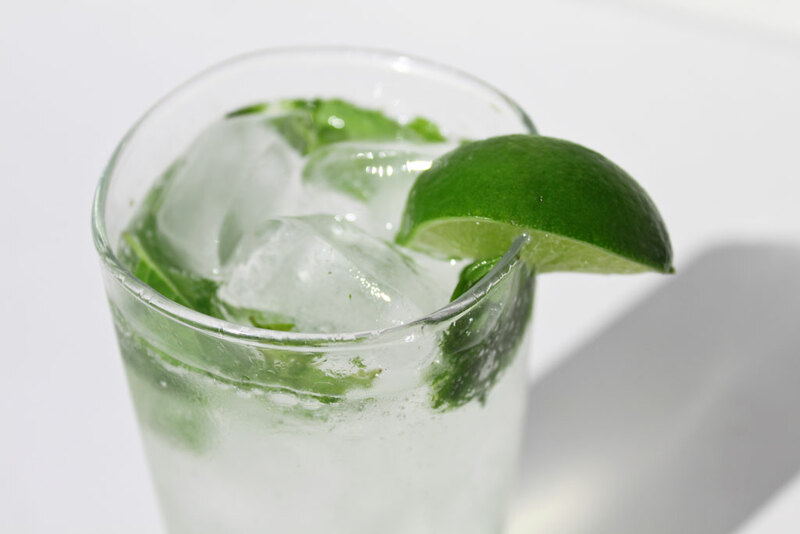 Though it originates in Latin America, a Mojito already shares ingredients that compliment Thai foods. Sugary sweetness, sharp lime juice, and mint are a part of Thai salads like laap. 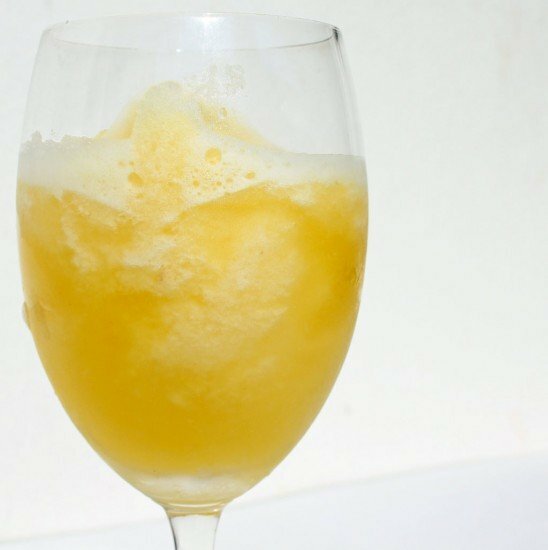 Adding palm sugar instead of cane sugar brings a deeper flavor to the sweetness that balances this cocktail – plus, palm sugar paste dissolves more easily than sugar crystals. The addition of Thai basil gives this Mojito a surprising, peppery kick. and mix thoroughly. Pour into four glasses, then fill to the top with ice and soda water. Like many daiquiris, a pineapple daiquiri might be too sweet for some people. Ginger adds heat and cuts the sweetness, so the drink has a more complex flavor and a spicy, warming bite. It also helps calm your stomach, later, if you’ve had too many. Add the ginger to your taste – remember, the fresher the ginger, the hotter the flavor. This simple take on the classic holiday drink gets its richness from coconut milk, making it lighter and frothier than eggnog. 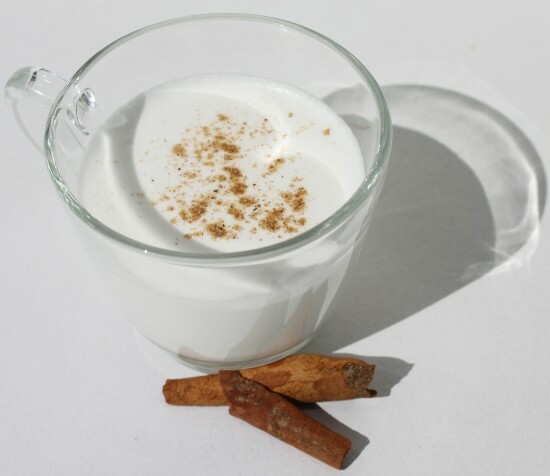 Just like eggnog, the comfort factor is derived from the heady combination of rum and traditional spices. Since there are no eggs in this recipe, you can serve it to your guests without cooking. This is best served cold, or you could even whirl it with ice in a blender. Use infused lemongrass syrup anytime you would use simple syrup in a mixed drink. Try it in a sweet sparkling white wine in place of crème de Cassis, or mix it into hot black tea with a little bourbon. Simmer together for 10 minutes, stirring to dissolve all of the sugar. Let cool, the pour into a jar with lemongrass leaves. Running out of coconut milk? Need some lemongrass? Temple of Thai has the ingredients you need to make these drinks. Kaitlyn is originally from North Carolina but moved to Chiang Mai, Thailand, so that she could eat more noodles and avoid snow. She’s been abroad for over a year, with occasional stops in other parts of South and South East Asia. What great ideas! YUM!!! I plan to try them all. To view some fun and different drink garnishes, check this out.